Wall Township is a relatively large community within Monmouth County, New Jersey. With over 25,000 residents in Wall Township proper, the town is part of a beautiful area that is home to the famous Allaire State Park. Just a little further inland you’ll find Bear Swamp Natural Area. And speaking of being inland, we would like to point out that just because Wall Township is roughly a mile more inland than communities like Sea Girt, Spring Lake, and Neptune City, it doesn’t mean that Wall receives any less harsh treatment in terms of the windy and stormy weather the Jersey Shore is known for. With that nasty weather in mind, many Wall Township residents have been coming to learn about the quality roofing company 1800 Roof Plus. 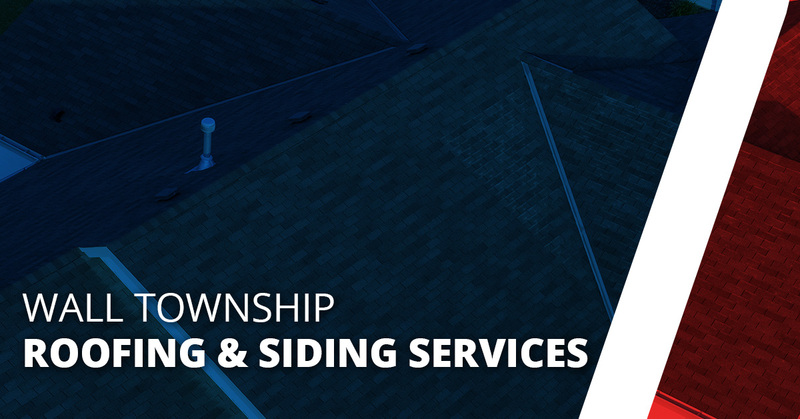 We have a wide variety of roofing, siding, gutter, and window services we are happy to provide communities with throughout Monmouth County. Roofing Services – Should you own a commercial property or a house, we offer roof replacement services as well as roof leak repair for any kind of structure. 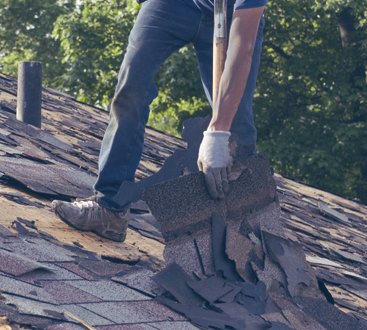 As one of the top New Jersey roofing contractors, we are committed to providing our clients with our experienced recommendations, so that you won’t have to be calling us again in six months time the next time a storm rolls into town. We pay attention to the details from inspection to installation, so that you can get your life back on track as quickly as possible. 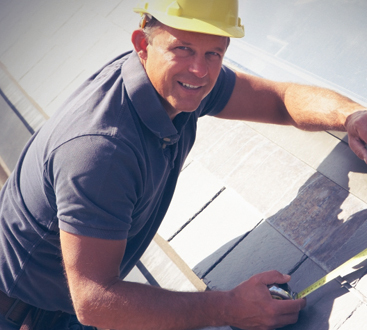 In short, when you’re looking for roofing services to be done the right way, we are the team to trust. Siding Services – If you are looking for a siding contractor for brand new house siding installation or just mild to moderate siding repair, 1800 Roof Plus is a great choice. Let us take care of the dirty work, while you can focus on the aesthetic you want your home or property to have. If you want a contemporary, classic, or traditional style siding, we are the siding contractor for you! Gutter Services – Another service we are happy to provide Wall Township with is our gutter replacement, repair, and cleaning services. Gutters are designed to help water drain off of your roof and away from your home. With our annual rainfall, a gutter that isn’t working properly can become a big problem in a hurry. With our years of experience as gutter cleaners and beyond, we know how to make sure your gutters will run well for many years to come. You don’t want to wait until you need a roof leak repair in addition to new gutters. But if you do, you know who to contact regardless! Our team makes gutter installation a breeze. Window Installation – We are also trusted professionals for all of your window repair and window installation services. If you own a property or home, the most consistent expenditure you have to account for is your energy bill. Our energy-efficient glass will save you money, while making your home more beautiful as well. Going with the sustainable option not only helps your bank account, but it just might help you sleep more easily at night, knowing that you have done your small part for the environment. It’s a win-win when you work with the top window installer in Wall Township! Condominium Services – 1800 Roof Plus, a division of Lombardo Construction, has a variety of property repair and installation services. We don’t want Wall Township condo owners to feel left out though. We offer condominium services for people who want to be confident in the condition of their building. If a big storm has ravaged one side of your home, or you are simply looking for property weaknesses and potential repair issues, 1800 Roof Plus is a great resource to have available. We will provide you with honest and reliable communication and work-done, from the estimate to the clean-up of the job itself. As you can see, we have a variety of services that we are proud to offer to Wall Township and the rest of Monmouth County. When you work with a roofing company like 1800 Roof Plus, you are working with roofing contractors who have experience in this industry and region, so there isn’t much that will surprise us anymore. We excel in providing counsel to our prospective clients who are considering their repair vs. replace options. We will help walk through the process with you, weighing the pros and cons with a long-term perspective. Get in touch with Wall’s roofing contractor of choice today, we would love to earn your business!